To celebrate the rise in popularity of female super heroes, why not dress like one for Halloween this year? With the new Supergirl show and characters like Margot Robbie's badass Harley Quinn in Suicide Squad, a female super hero costume will be totally on point for Halloween and empower you at the same time. Follow these Harley Quinn hair tutorials for a simple, but killer look this Oct. 31. If you aren't familiar with the DC Comics story, Harley Quinn is the female super hero/villain of the Suicide Squad and the Joker's love interest. Thanks to the live-action rendition of the comic and Robbie's portrayal, Quinn's iconic red and blue look is becoming popular for makeup and beauty artists to copy for cosplay and costumes. Quinn's hairstyle will be fairly easy to emulate, and if you're not blonde, don't worry because there are tutorials out there for brunettes too. All you have to do is spilt your hair into a middle part and into two high ponytails. Next, you just have to curl the ends, ruffle them to make sure it looks distressed, and then get some red and blue hair temporary hair dye spray. These easy-to-follow YouTube tutorials will help you get your most badass Halloween looks yet! 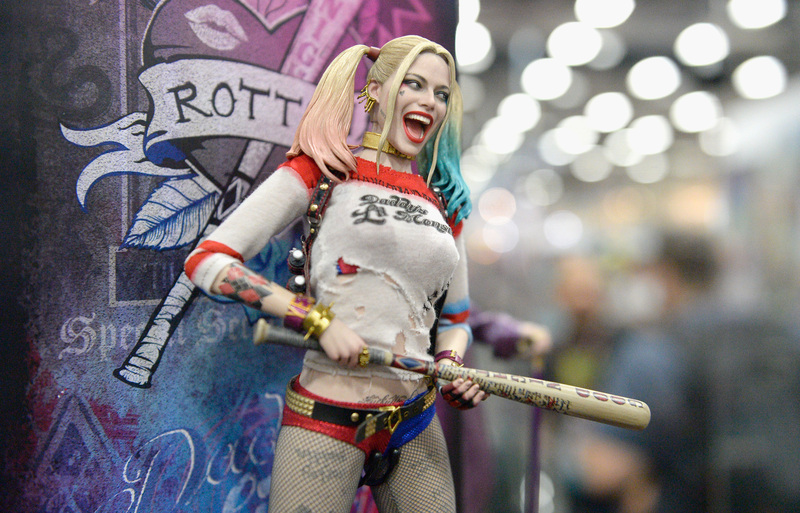 Start practicing your Harley Quinn facial expressions! If you don't have hair long enough for the Harley Quinn look, you can always use hair extensions like in this tutorial. And to get the red and blue colored look, this tutorial also uses hair chalk, which you can find at Ulta Beauty. For the brunettes who want the super villain's look, you can find an easy how-to at the nine minute mark of this tutorial.